Dr. Anthony R. Lupo is Professor of Atmospheric Science in the School of Natural Resources, which is housed in the College of Agriculture, Food and Natural Resources at the University of Missouri. PhD in Atmospheric Science at Purdue University In 1995 .he has received funding through the National Science Foundation, the United States Department of Agriculture, United States Department of Energy, Civilian Research and Development Foundation Global, and the State of Missouri. Leyla Ozkan was born in 24.02.1981 in Istanbul. She received her undergraduate education degree in Department of Biology from Faculty of Science and Literature, Akdeniz University (Turkey). Masters Degree on Marine Turtles at the Department of Biology of the Institute of Science at Akdeniz University, in doctorate, she has a thesis on birds in the same unit. She has been working as an Assistant Professor at the Department of Wildlife Ecology and Management of the Faculty of Forestry at Duzce University since 2016. Kartlos Kachiashvili has his expertise in system analysis of the environmental water pollution level, mathematical statistics, applied mathematics, mathematical modeling and simulation of pollutants transport in water objects, measurement devices and processes as well, development of new computer technologies, analysis of environmental, agricultural and medical data. He developed his activities in scientific production associations, research institutes and universities of different countries. Developed by him systems, program packages, models, methodologies were practically realized in real systems of different countries of former USSR. His research results are published in many scientific articles and monographs published in many well-known, international journals and publishing houses. Dimitrios P. Nikolelis received his PhD from University of Athens in 1976 and he is a professor of environmental chemistry in Department of Chemistry, University of Athens. Prof. Dimitrios Nikolelis has coordinated 3 European Projects on environmental biosensors .He also was twice a. NATO Director in the following Advanced Research Workshops: 1. Biosensors for Direct Monitoring of Environmental Pollutants in Field, Smolenice, Slovakia,: May 1996 and 2. Portable biosensors for the Rapid Detection of Biochemical Weapons of Terrorism, July 2012.His research is targeted on the fabrication of portable biosensors for in the field uses and he has authored a large number of scientific papers on the detection of environmental pollutants such as hydrazines, dioxins, insecticides, toxins, etc. Prof. D. P. Nikolelis group has recently utilized graphene and ZnO to develop chemical nanosensors based on polymer lipid films for species of clinical or food significance such as urea, uric acid, cholesterol, etc. Prof. D. P. Nikolelis group has recently utilized graphene and ZnO to develop chemical nanosensors based on polymer lipid films for species of clinical or food significance such as urea, uric acid, cholesterol, etc. Biosensors for Security and Bioterrorism Applications,Environmental pollutants,polymerized lipid films . Dr. Liu is currently a senior researcher in the section of Pavement Engineering of the Faculty of Civil Engineering & Geosciences of TU Delft. He works in the areas of constitutive modelling, numerical modelling and material experimental characterization.His research topics mostly relate to the development and implementation of constitutive models for the simulation of the static and dynamic response of various pavement engineering materials like soils, asphalt concrete, liner and reinforcing systems etc. Dr. Liu was granted his doctoral thesis in 2003. Milton Gonçalves da Silva Júnior. Professor in Environmental Engineering Courses at Araguaia-FARA College. PhD in 2008-2012 in Aquatic Ecology and fishing. Universidade Federal do Pará,Brazil. His areas of practice Ecosystem Ecology,conservation of animal species,Biodiversity in Coastal Areas,applied ecology,teaching science and biology and watershed Conservation. Professor Yehia Hafez , is a Prof. of Meteorology, at King Abdulaziz University, Department of meteorology, Faculty of Meteorology and Environment KSA since 2012. Prof. of meteorology in Cairo University, Egypt since 2008.The main field of research is the atmospheric science and meteorology. The main specific topic is the synoptic meteorology and blocking systems. Have experiences more than 25 years in meteorology and climatic studies. He Has Bsc in physics in 1986 from Ain shams University, Diploma in Meteorology, 1992 from Cairo University. MSc in meteorology in 1995 from Cairo University and PhD in meteorology from Cairo University in 1997. Editor in several international scientific journals since 2012. International expert in IPCC for climatic change report. Reviewer for several international scientific journals. Also Director of international Egyptian ozone unit and in UNIDO for the period 2003-2005. Head of meteorology department in civil aviation technical college, sebba, Libya 2009-2010. Atmospheric Sciences,Synoptic meteorology,Blocking systems,Climate and climate change and synoptic meteorology . Dr. Sam H. Y. Hsu obtained his PhD degree under supervision of Prof. Kirk S. SCHANZE at University of Florida with focusing on photophysical behaviors of functional metallopolymer materials for solar energy applications. The area of his expertise stretches from multistep synthesis of organic-inorganic semiconductors to new related disciplines involving diverse areas of applications and material characterization, including solar fuels, organic and inorganic photovoltaic cells, ultrafast laser spectroscopy, and scanning photoelectrochemical microscopy imaging. Spectroscopy and solar energy application, Material design, Photoinduced charge transfer. Professor at Department of Forest Engineering, Soil Science and Forest Ecology Program at University of Düzce Turkey. His PhD. program in the College of Forestry at Oregon State University, USA in 2000. Soil science; Ecology ; Forestry; biodiversity and Statistics. Maatouk Khoukhi Associate Professor, Architectural Engineering Department, College of Engineering, United Arab Emirates University. Ph.D., Mechanical Engineering, Tohoku University (Japan) in collaboration with New South Wales University (Australia) 2004. Teaching Areas are Environmental systems and control, building electrical systems, building mechanical systems, HVAC design, renewable energy systems, building acoustics and illumination, sanitary and plumbing, building science, IAQ and energy conservation in buildings, fire and smoke in buildings, thermal fluid sciences. Dr. Hui-Ming Wee is a Distinguished Professor in the Department of Industrial and Systems Engineering, former Associate Dean and Chaplain at Chung Yuan Christian University (CYCU) in Taiwan. He has received his B.S. degree (honors) in Electrical and Electronics Engineering from Strathclyde University (UK), M. Eng. from Asian Institute of Technology (AIT), and Ph.D. in Industrial Engineering from Cleveland State University, Ohio (USA). He has received an excellent research award from the Taiwan Ministry of Science & Technology, excellent life researcher award and the Medal for Distinguished Industrial Engineer Award. Optimization, Renewable energy, Environment, artificial intelligence and Green supply chain management. Magdalena Valšíková, Slovak University of Agriculrure in Nitra, Horticulture and Landscape Engineering Faculty, Department: Vegetables production. Teaching and research in the fields: Agriculture, Horticulture, Vegetables and medicinal plants production, Food quality, Quality and post-harvest technology of horticultural crops, Seeds production of vegetables, flowers, and medicinal plants. Agriculture, Horticulture,Research in vegetables and medicinal plants, Food science, Post harvest technology, Seed production of vegetables and flowers..
Saad Farouk Mohamed Hussien, Faculty of Agriculture, Agricultural Botany Department, Mansoura University, Egypt. 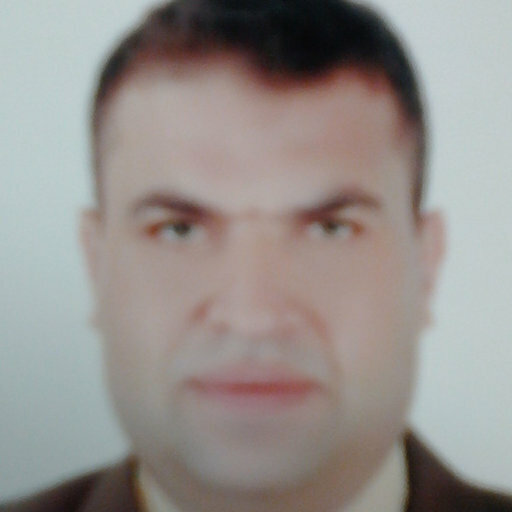 Ph.D in Agricultural Sciences from Mansoura University in 2005. He is member in Egyptian Horticulture Society,Mansoura University Journal of Agricultural Sciences. Environmental stress physiology, Hydroponics,Physiology of seed germination, Biostimulants and effective microbes. Mustafa Turkmen is a full Professor in the Department of Biology, Faculty of Science & Arts, Giresun University. He is head of Department of General Biology. He has successfully organized national and international symposium. Environmental Pollution and health, Biomonitoring, Bioaccumulation, Toxicology, Ecotoxicology, especially aquatic environments. Dr. AHMED MEDHAT MOHAMED AL-NAGGAR. Professor of Plant Breeding, Agronomy Dept., Faculty of Agriculture, Cairo University, Egypt, Since 1992. Institute of Genetics and Plant Breeding, Sofia, Bulgaria. Cairo University Prize in Multidiscipline and Future Sciences For the Year 2007. Managing Director of Arab Journal of Biotechnology, Arab Council of Graduate Studies and Scientific Research (ACGSSR), Cairo University, Egypt. 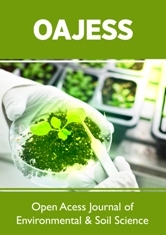 Plant Breeding, Plant Biotechnology,Resistance to Biotic Stresses,Cross-Fertilized Crops. My research interests include testing and modeling for the behavior of reinforced ground and slopes subjected to static or seismic loads. The published works include fundamental aspects of reinforced soil walls and new analytical models for the bearing capacity of reinforced ground and slope stability. An inter-disciplinary research of hydrological and geotechnical engineering was carried out, in view of the important roles of subsurface hydrological process played in the rainfall-induced slope failures and debris flows. In the post-disaster study of typhoon Morakot which triggered a maximum rainfall depth of 2884 mm in August 2009 in central Taiwan, a new temporal pattern of rainfall (called Gaussian-distribution-based hyetograph) and a new theory of debris flow initiation was proposed. In addition, a novel method for predicting periodic rainfall-induced displacements of slopes using the force-equilibrium-based finite displacement method (FFDM) was proposed to facilitate cost- and time-effective slope stability and displacement evaluations. Reinforced ground and slopes,Geotechnical engineering,Gaussian-distribution-based hyetograph. Professor in Pedology & Land Use Planning, College of Agriculture & Environmental Sciences, Haramaya University, Ethiopia. MSc Ag (GoldMedalist),,FINSA,FCMSI,Vidyaratna,Scholarship/Fellowship/Prize/Citation from Primary School Education to PhD at IARI, Fellow of INSA & CMSI. Photopedogenesis, Indian System of Soil Classification, Land Use Planning based Agriculture, Fluvisols (13th Order in USDA Soil Taxonomy, proposed), Immobisols (Type specific soils of Ethiopia proposed under WRB), Microbisols (proposed).Photopedogenesis, LUP based Soil Classification, Potassium Diffusion using 86Rb isotope, BRDF (Space Application), IW/CPE as Irrigation scheduling in Kosi, Land Economics vs LUP. Land use planning, Soil Classification, Photopedogenesis, Soil based Climate Change Mitigation & Flood Management. Wael Abdel Kawy .Department of Soil Science, Faculty of Agriculture, Cairo University, Giza, Egypt. Ph. D. in 2002 Soil Science at Cairo University, Egypt.Consultant of many national and international Projects in soil science field. Principal investigator of many national and international projects in soil science field. Land Resource Management;Soil Morphology and Classification;Remote Sensing;Geographic Information Systems.